Two authors with recently published books will be available for book signings at Savannah State University’s (SSU) Asa H. Gordon Library art gallery. Otis Johnson, Ph.D., former mayor of Savannah and scholar-in-residence at SSU, will sign his new book From the “N Word” to Mr. Mayor: Experiencing the American Dream. His memoir recalls his life in a city with complicated race relations. 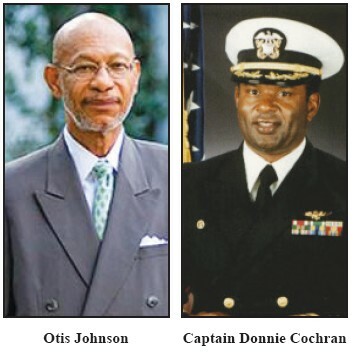 His signing will take place on Monday, February 20, 6-8 p.m.
Captain Donnie Cochran (ret. ), former commander of the Blue Angels and SSU alumnus, will sign copies of Glad to Be Here, a memoir that focuses on lessons he learned as a pilot and commander. His signing will be Friday, February 24, 2-4 p.m.
All events are free and open to the public. Books will be available for purchase at the events.